This wonderful design is the perfect addition to any home interior aswell as any buisness venue such as a bistro or resturant. 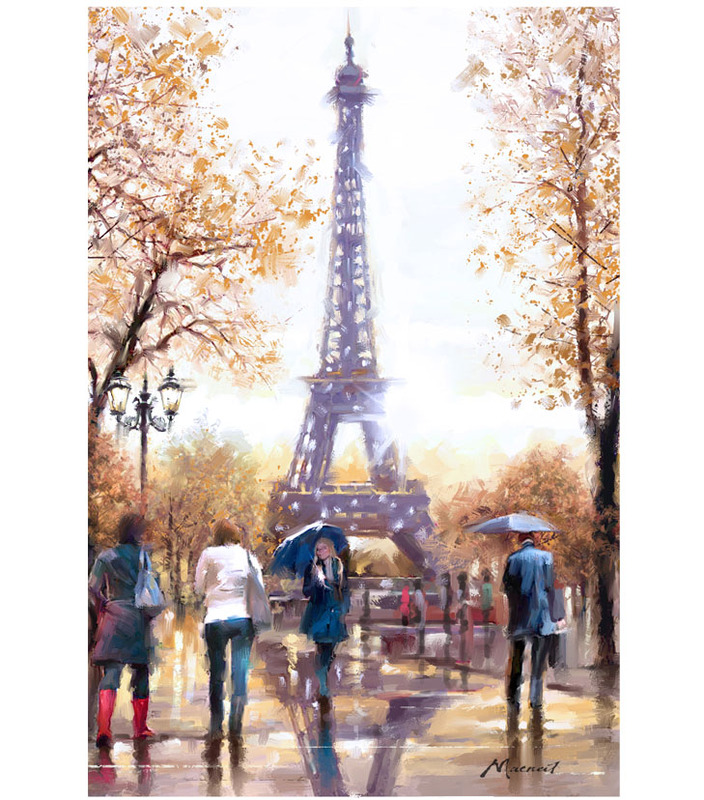 Richard designed Eiffel Tower Paris to replicate a realistic snapshot of this iconic location. Richard used soft, muted sepia tones with flashes of colour to enhance the beauty of this piece. The Reflection within this piece allows for a feeling of movement. This piece makes a wonderful pair when grouped with Manhatten New York, which is also available to purchase via our print shop.